Fisher C. Grahovac TL, Schafer ME, et al. Comparison of harvest and processing techniques for fat grafting and adipose stem cell isolation. Plast Reconstr Surg. 2013;132(2):351-361. Paik KJ, Zielins ER, Atashroo DA, et al. 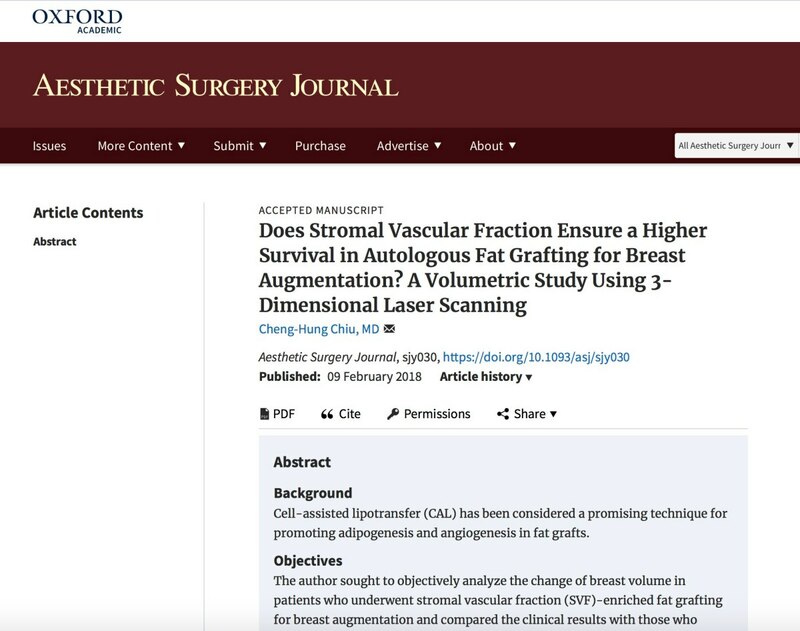 Studies in fat grafting: part V. Cell-assisted lipotransfer to enhance fat graft retention is dose dependent. Plast Reconstr Surg. 2015;136(1):67-75. Li F, Guo W, Li K, et al. Improved fat graft survival by different volume fractions of platelet-rich plasma and adipose-derived stem cells. Aesthet Surg J. 2015 Mar;35(3):319-33. Rong Jin, Lu Zhang, and Yu-Guang Zhang. Does platelet-rich plasma enhance the survival of grafted fat? An update review. Int J Clin Exp Med. 2013; 6(4): 252–258.